What is LOVE, Dr. Cookerly? : Listening With Love - Are You Good At It? 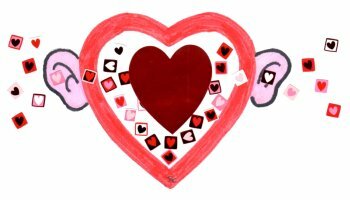 Synopsis: This is both a mini-love-lesson and a Rating Test which aims to get you to attend to 12 important points concerning becoming a really good at listening with love; and you can use it to rate yourself, as to your love listening skills. Listening well to those you love is one of the best ways to demonstrate that you love, care and value them. Sometimes one of the most important ways to feel that you are loved is to experience someone who loves you doing a really good job of listening to you. But what really constitutes good, love-filled listening? To find out take this 12 item test, rating yourself as you go. Each item will help you know a major way you can nourish and help improve any and all love relationships through being good at listening with loving. Carefully read each of the following tests questions. 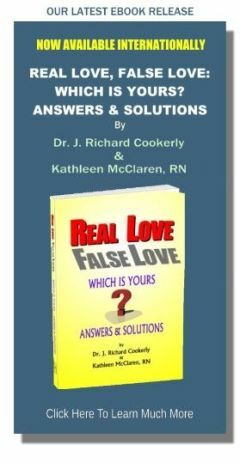 Each question mentions one of the factors associated with quality listening with love. As you read try seriously to think about how well you do what the test statement refers to when you are talking face-to-face with someone you love. Then with each question look at answers A through F, and pick the one that comes closest to what you think accurately rates you on how well you listen. Record each of your answers so you can come back later and tally your score. Instructions for tallying your score will be given at the end of the test, along with interpretations. 1. When talking with a loved one, you say fewer words than they do. 2. When listening to a loved one, you silence your own mind and what it is telling you to say next, so that you can attend to what they are saying more fully. 3. You can repeat back to a loved one what they have just said, close to verbatim. 4. When a loved one is talking, you repeatedly identify in your mind what the emotions your loved one is experiencing as they talk. 5. When talking with a loved one you ask what they are feeling, so as to be sure you are in tune with their emotions, and to check out your own perceptions of their emotions. 6. When talking with the loved one you have and convey empathetic, corresponding emotions i.e. you hurt when they hurt, you’re happy when they’re happy, etc. 7. You listen attentively for a loved one to fully vent, express themselves, discover and think-out their own issues, solutions, concepts and feelings before offering your own thoughts, advice, possible solutions, etc. 8. Your facial expressions, head movements, voice tones, gestures and posture changes consistently and repeatedly show interest, attentiveness, care and other appropriate corresponding feelings to your loved ones when they are talking. 9. When talking with a loved one you physically touch them appropriately showing care, support, celebration, affection, etc. 10. When listening to a loved one you avoid listening primarily for their pauses so you can start saying what you want to say next, and while they’re talking you avoid rehearsing in your mind what you’re going to say next, plus you do not let yourself be otherwise easily distracted from giving them your full and close attention. 11. When talking with someone you love do you do a good job of listening with your eyes, i.e. closely watching your loved one’s face and movements in order to see your loved one’s indicators of emotion, so you can be emotionally in tune with them and respond accordingly? 12. When talking with a loved one do you stay aware that listening well can help your loved one feel affirmed, valued and cared about, and not listening well can result in your loved one feeling devalued and less than well loved? Score 5 points for each (A), 4 points for each (B), 3 points for each ( C ), 2 points for each (D), 1 point for each (E) and zero points for each (F) – Don’t know response. Scores 49 – 60 suggests someone who is a great loving listener, or someone who is overrating. 39 – 48 suggests someone who is a good loving listener who can still improve. 25 – 36 suggests someone who is a fair loving listener who can do quite a bit better with learning and practicing. 13 – 24 suggests someone who is rather poor at loving listening and probably is in need of a fair amount of improvement. 0 – 12 suggests that a very poor loving listening performance is frequently occurring and considerable work at improvement is recommended. 4, or more, zero (Don’t know) responses suggests considerable study of loving listening skills is probably highly desirable. If you wish to rate another person on their loving listening skills you will need to alter the questions a little so they read in a way that indicates a loved one listening to you. Then record the responses (A – F) that best indicates how you think they behave on each item. Then tally the scores as before. To learn more about this important skill go to the mini-love-lesson at this site titled “Listening with Love”. You might use that entry to talk about listening skills with a loved one. As always – Go and Grow with Love. Who listens to you with love the best, and have you sufficiently thanked them for that?